Brown full grain leather upper. Padded cuff for added comfort. Steel toe cap protection and steel midsole protection. Comfort insole. 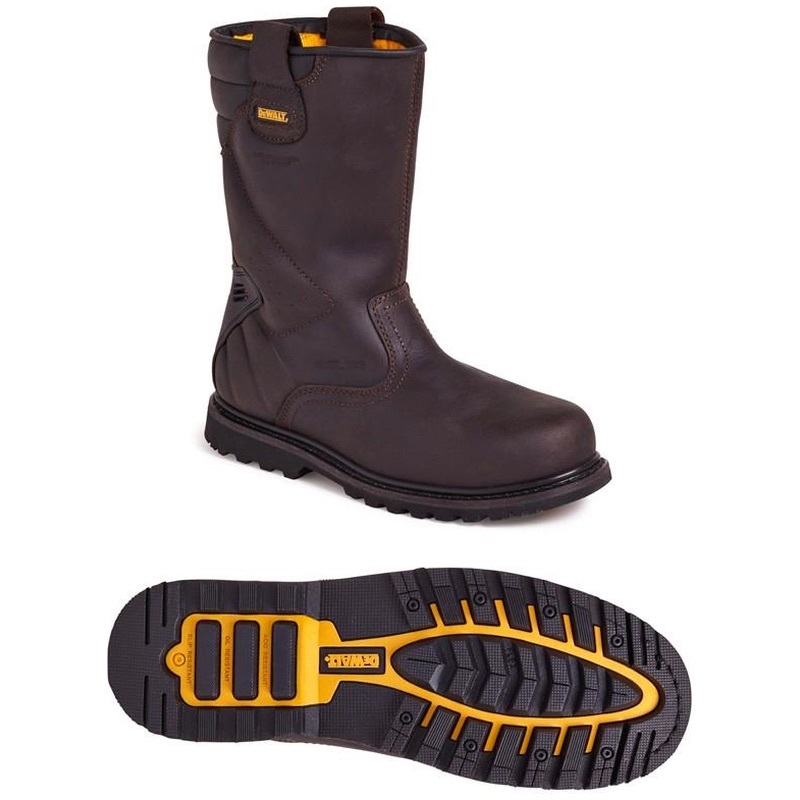 Durable goodyear welted rubber outsole. Padded ankle and TPU heel support. 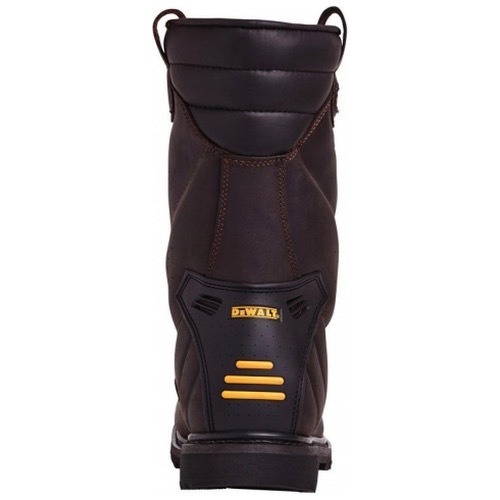 A robust styled rigger boot from DEWALT.